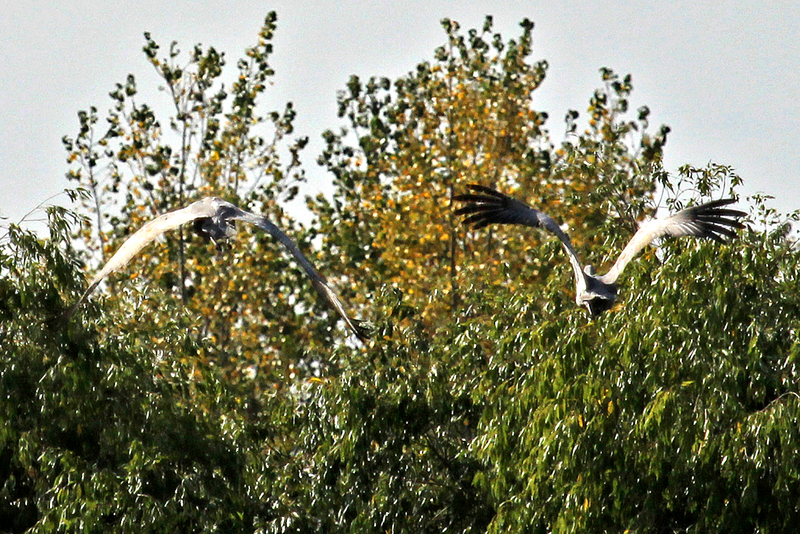 A few minutes after a couple of Canada Geese took off from the marsh yesterday, I heard a really eerie call and turned around to find these two birds taking off. 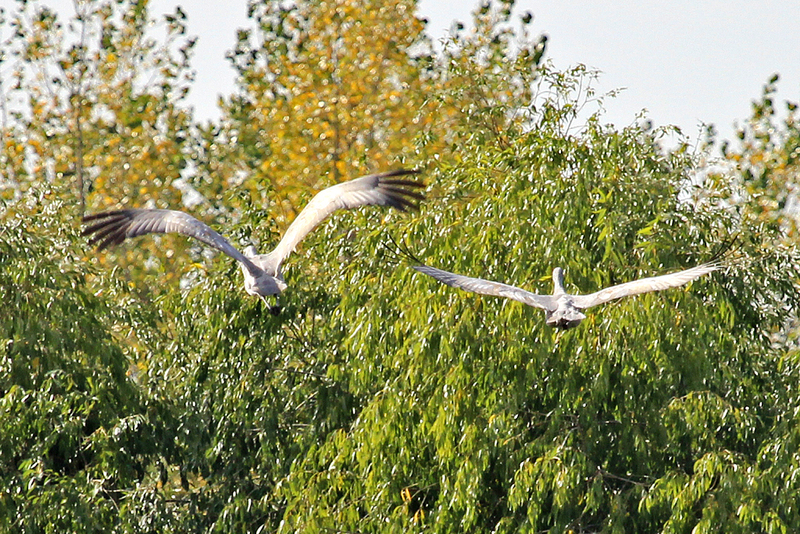 And they sounded just like this…as they flew away. It’s not a sound you easily forget. 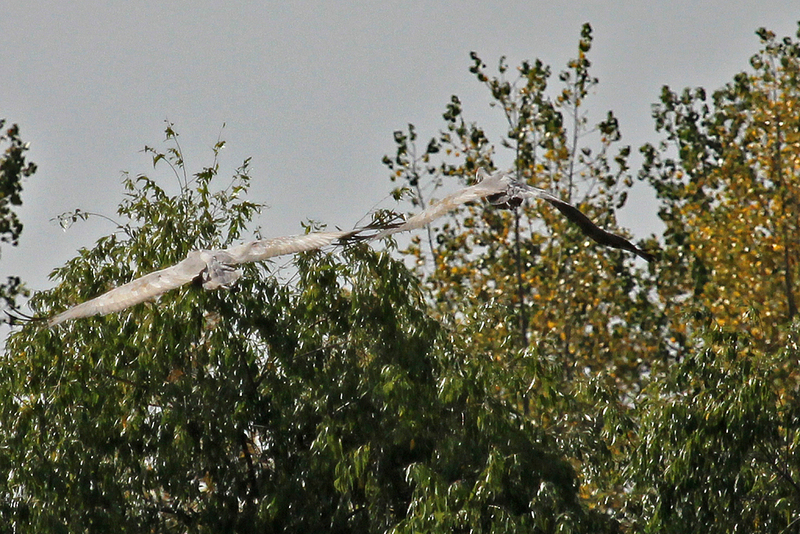 These birds may have bred near here this summer, but will soon be on their way south as well, to wintering grounds in Florida, Texas or northern Mexico. 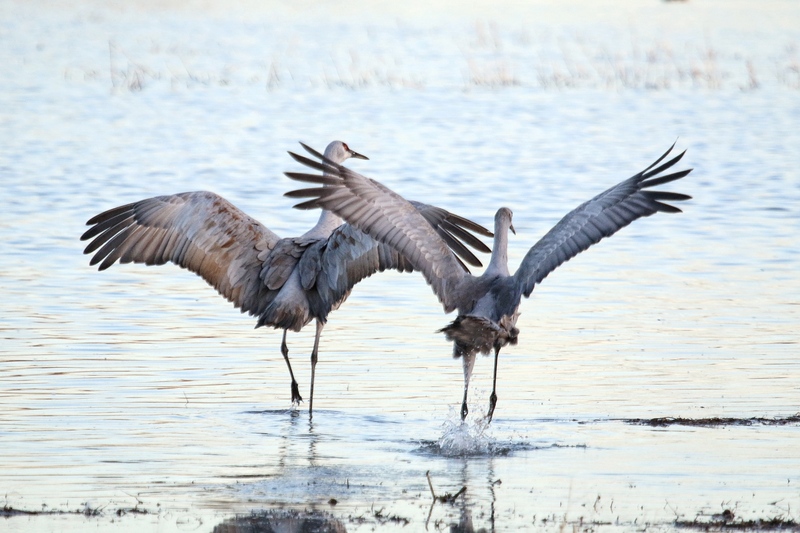 For more information about these birds, see “Dance of the Cranes“.